We now have a new option to receive offerings and donations to our projects. We've partnered with Tithe.ly you can look us up using the app on your smartphone or by using the button nearby. During the three Holy Days, also known as the Triduum, the story of Jesus' mission, his crucifixion, and resurrection are told. Along with this are remembered the ancient stories of God's interaction with humanity and the chosen people Israel. These stories remind us of God's faithfulness and promise to keep the covenant, even though God's people have consistently failed to do their part. In the story of Jesus we see how far God comes down to reclaim us and show us true unbreakable love. All are welcome to join us to hear these stories and participate in the rituals that draw us further into God's Word. 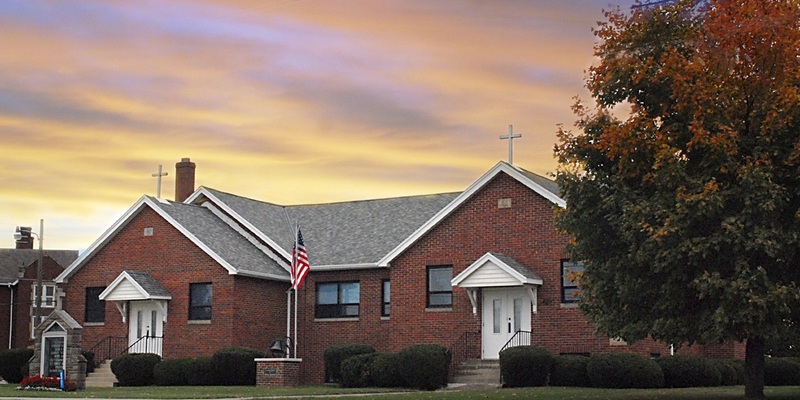 St. Paul Lutheran Church in North Robinson is a congregation that strives to live out our faith in Jesus Christ by loving God and serving our neighbors. As Lutherans we rely on God's grace and love to inspire and sustain us, and we seek to embody the grace and love of God shown to us, by sharing it with others. The people of St. Paul in North Robinson see one another as family (some literally are!) and are always ready to welcome in anyone who has need of the gift of community that so many already enjoy. If you are looking for a place where you can be loved for who you are and where your gifts can be used to help improve the lives of others, we hope you will find your place with us at St. Paul. If you would like to know more contact us or check us out on a Sunday morning. Our Synod Bishop has crafted a study for this the Year of Prayer on the book of Nehemiah. We will begin our study of this in July,you can find the materials here, as well the materials from the Year of Grace study in Ephesians. An earlier study was on the practices of our own church, especially regarding our sacraments; baptism and communion. The text we used was the ELCA's "The Use and Means of Grace" document. Which can be found by clicking the link.